Thor (Chris Hemsworth) is fighting to prevent Ragnarok – the end of the world. Having successfully defeated the demon Surtur, he returns to Asgard, only to find Loki (Tom Hiddleston) posing as their father Odin (Anthony Hopkins). After having located the real Odin, he tells Thor and Loki that Ragnarok is still coming: the real threat is their sister Hela (Cate Blanchett). It doesn’t take long for Hela to appear and show how much of a threat she really is. 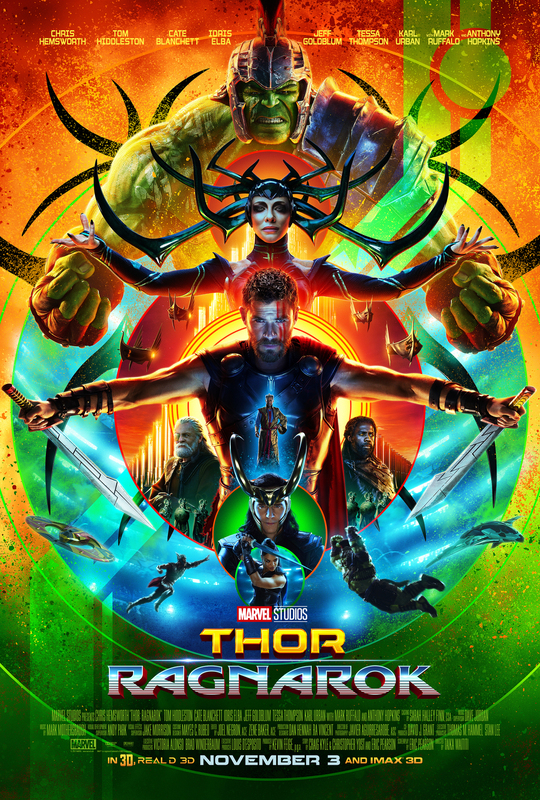 Thor: Ragnarok is probably the best Marvel film to date. It’s entertaining, full of queer (and also straight) aesthetics and had me in literal tears it’s so funny. It’s absolutely lovely. Stephen Strange (Benedict Cumberbatch) is a great neurosurgeon, and he knows it. But after a car accident that leaves him severely injured, Strange loses control of his hands – a skill absolutely necessary for his delicate job. He tries everything he can to get back to his former abilities. He is so desperate that when he hears of Jonathan Pangborn’s (Benjamin Bratt) apparently miraculous recovery, he asks him for the secret to it. Pangborn tells him of an temple in Nepal where they know about magic. Strange makes his way there, hoping to regain what he lost – and more. 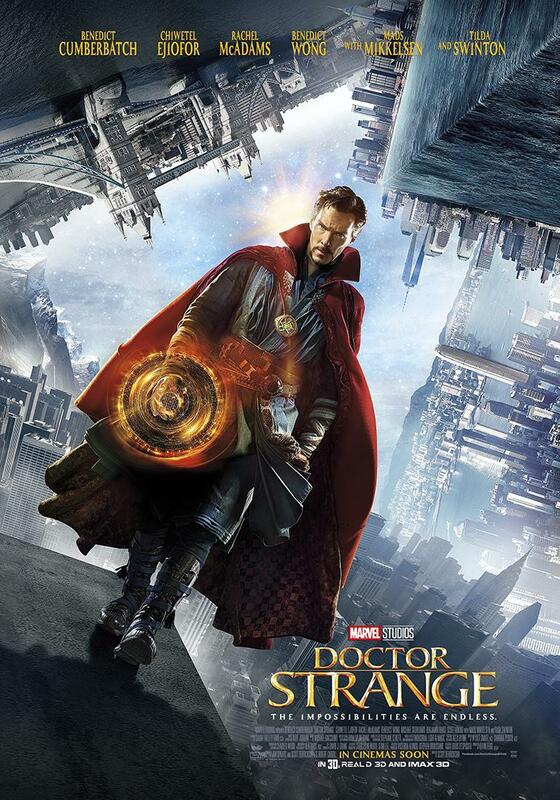 If you manage to disregard the blatant racism in the film and its casting (and I can understand if you can’t manage this), Doctor Strange is an entertaining film that offers a lot of fun. Whitey Bulger (Johnny Depp) runs one of the more powerful crime syndicates in Boston. But he does have his rivals. That’s when ambitious FBI agent John Connolly (Joel Edgerton) approaches him. Connolly knows Bulger of old and he’s eager to make a name for himself, so he suggests that Bulger could become a FBI informant. That would give him more freedom in his affairs and it would help Connolly’s career by taking out plenty of bad guys – all of Bulger’s enemies. 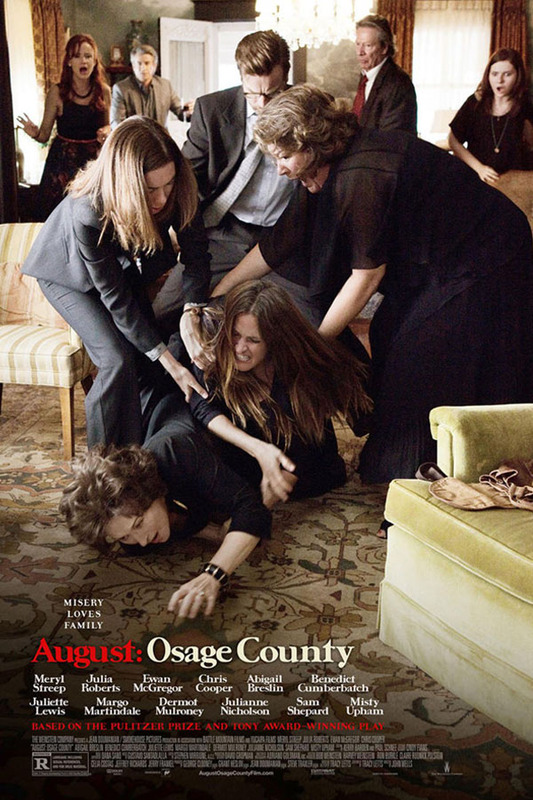 Black Mass covers many years. Unfortunately it also feels like it lasts many, many years. It was such a boring film, I ultimately lost the battle against sleep and drifted of for a few minutes in-between. Prince Hamlet (Benedict Cumberbatch) just returned to Denmark after his father’s death. 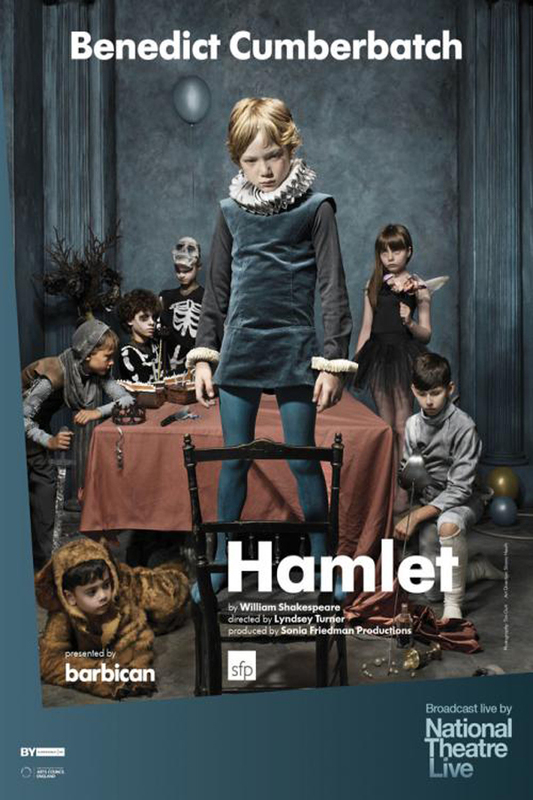 His mother Gertrud (Anastasia Hille) has quickly remarried – and who else but Hamlet’s uncle Claudius (Ciarán Hinds)? But Hamlet’s father still haunts the castle grounds and he tells Hamlet that it was his own brother who killed him. Now it’s upon Hamlet to set things right again. But Hamlet’s grasp on sanity is slipping. Or maybe that is all a ruse? 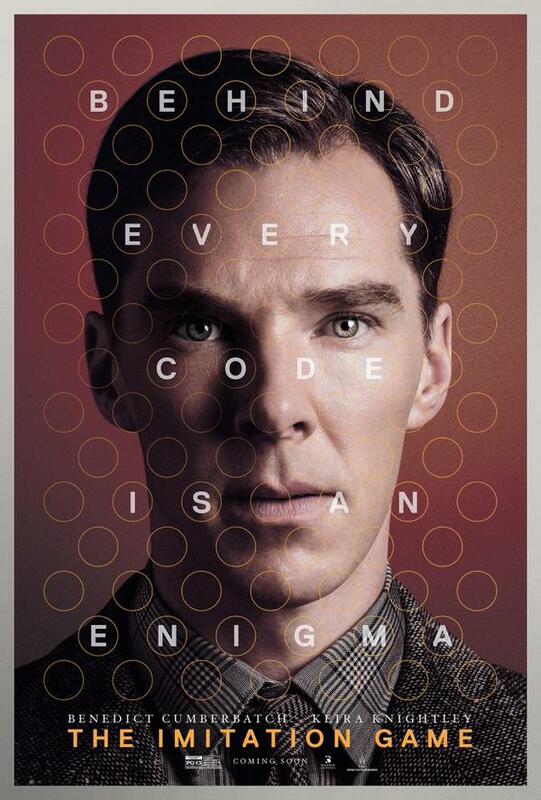 Alan Turing (Benedict Cumberbatch) is brilliant, but he is also very weird. When he shows up at Bletchley Circle, ready to crack the German code machine Enigma, he has trouble fitting into the team working there, led by Hugh Alexander (Matthew Goode). Hugh thinks they need to keep cracking the codes manually, while Alan is convinced that only a machine can crack Enigma. Things shift after Alan complains to Winston Churchill directly who puts him in charge, much to the team’s dismay. It is only after Alan hires Joan Clarke (Keira Knightley) and the machine starts to take on shape that the team comes around as well. The Imitation Game is a mess, there is no other way to put it. I pretty much hated everything about it except the supporting cast, and even so most of them were underused. The dwarves and Bilbo (Martin Freeman) have roused Smaug (Benedict Cumberbatch) and Smaug is on his way to lay waste to Laketown. But Bard (Luke Evans) manages to save the town from that fate by killing Smaug. Now the Lonely Mountain can be claimed by Thorin (Richard Armitage), who immediately starts looking for one particular gem – the Arkenstone – and slowly succumbs to dragon sickness. In the meantime various armies start to gather outside the Lonely Mountain, all with a different claim on the treasure and/or the people within. I thought that the last installment of the movie really was quite disappointing. I mean, neither of the three can live up to The Lord of the Rings anyway, but at least Desolation of Smaug was entertaining. Battle of the Five Armies was too much battle, too little coherence and way too much Alfrid. 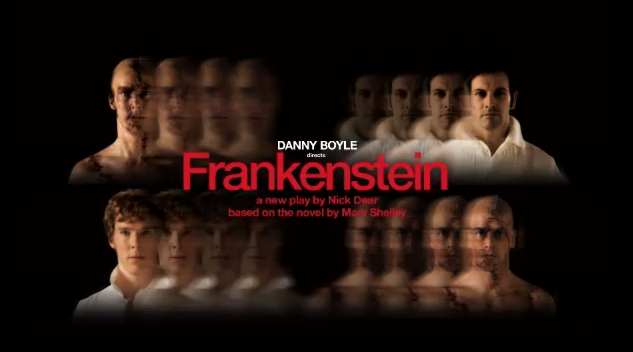 Victor Frankenstein (Jonny Lee Miller) experimented around and managed to create a man (Benedict Cumberbatch). Horrified by what he’s done, he leaves the Creature to his own devices. As he stumbles through the world, utterly forsaken, the Creature tries to find his place in the world, a place that is inexorably connected to the man who created him. It was fascinating to see both versions of the play – and to notice the way my perception shifted just by switching the roles and even though everything else stayed the same. But seeing the play for a second time also made its faults much clearer to me – and that is especially the way it treats its women. Solomon Northup (Chiwetel Ejiofor) is one of the few free black people in the USA. Or rather he used to be until he took a job offer that turned into a kidnapping. Suddenly Solomon finds himself removed from his family, mistreated and enslaved. As he goes from owner to owner, he tries his best to not only survive, but be free again. 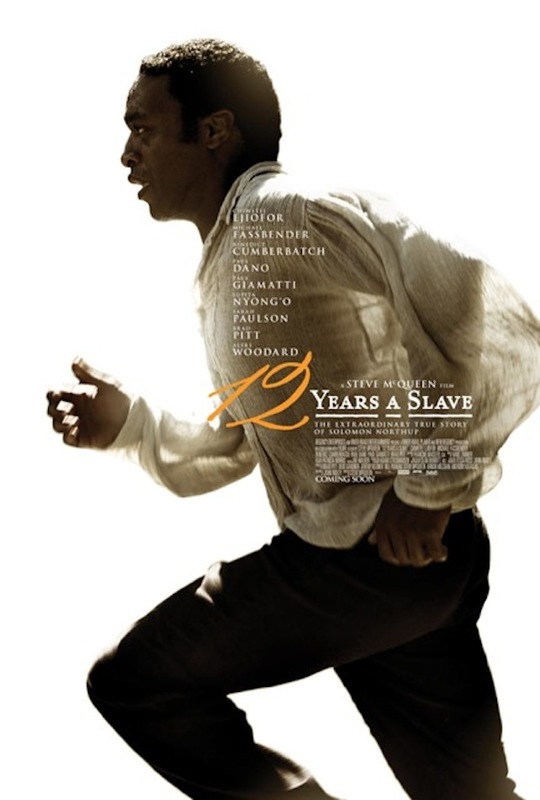 12 Years a Slave is one hell of a film. It has a great cast, is beautifully shot and has an awesome soundtrack. It’s also a film that hurts pretty much all over and will stay with me for a very long time. 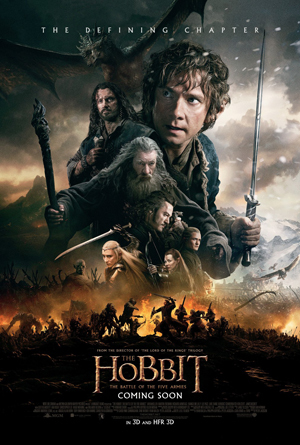 The dwarves and Bilbo Baggins (Martin Freeman) have come quite a way under the leadership of Gandalf (Ian McKellen) and Thorin (Richard Armitage), but they still have a long way ahead of them until they will reach the dragon. As they reach Mirkwood, Gandalf has to leave them and the group soon finds itself in the clutches of the wood elves and King Thranduill (Lee Pace). 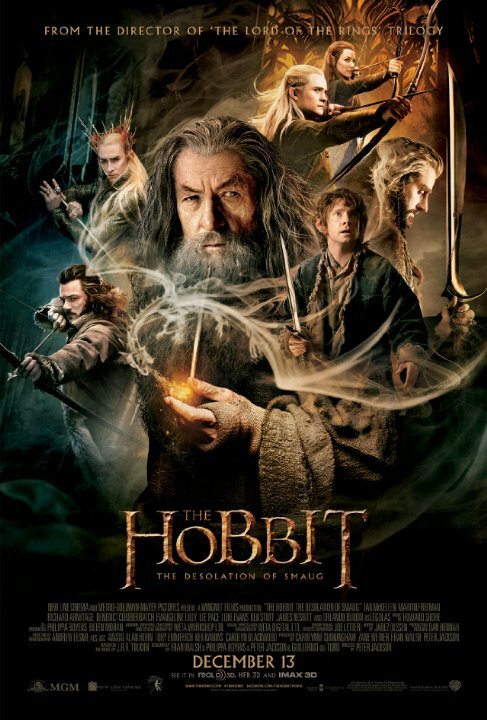 I already enjoyed the last Hobbit movie but this was one was even better. The pacing works more smoothly (even if it could have been a little shorter), the characters are awesome as usual and it has brilliant moments (and moments of none-brilliance).